Baltimore’s Morgan State University was awarded a three-year, $1.6 million Aerospace Workforce and Leadership Development Grant on from the nonprofit organization Base 11, according to Afro.com. The historically Black college made the announcement on February 11. The grant, which aims to improve diversity in the aerospace talent pipeline, was announced in June 2018, and drew proposals from eight Historically Black Colleges and Universities (HBCUs). Morgan State will use the funds for the build-out of a liquid-fuel rocketry lab, as well as the recruitment and hiring of an aerospace faculty leader to create a world-class liquid fuel rocketry program. 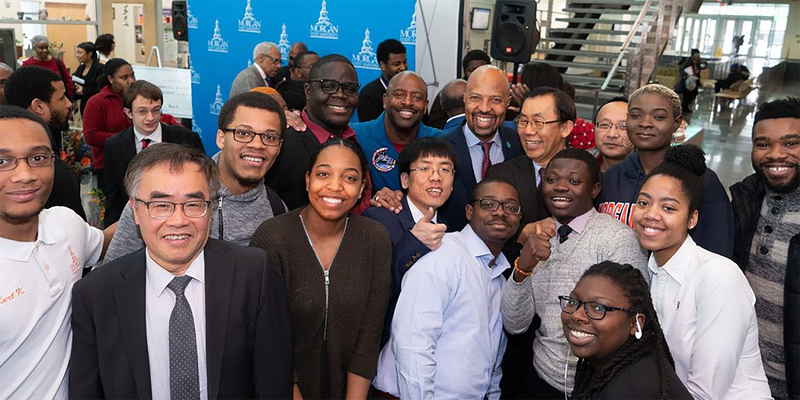 Morgan State aims to bring together these elements to successfully build and launch a liquid fuel rocket that reaches 150,000 feet by 2022. The commercial space industry is expected to become a $2.7 trillion economic sector in the next 30 years, according to Bank of America Merrill Lynch. Yet the industry faces challenges in recruiting a diverse workforce. According to the National Science Foundation, African Americans make up just 5 percent of the science and engineering workforce.